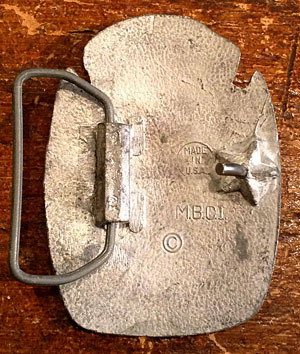 Unique Vintage Belt Buckle! 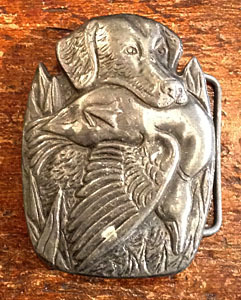 This buckle has a trusty lil' puppy-dog with a duck in his mouth, hurrying back to his master to deliver the prize. Think "Duck Hunt" from the Ole' Nintendo Machine! Darker Silver-y finish. Back says "M.B.C.I." Made in USA.